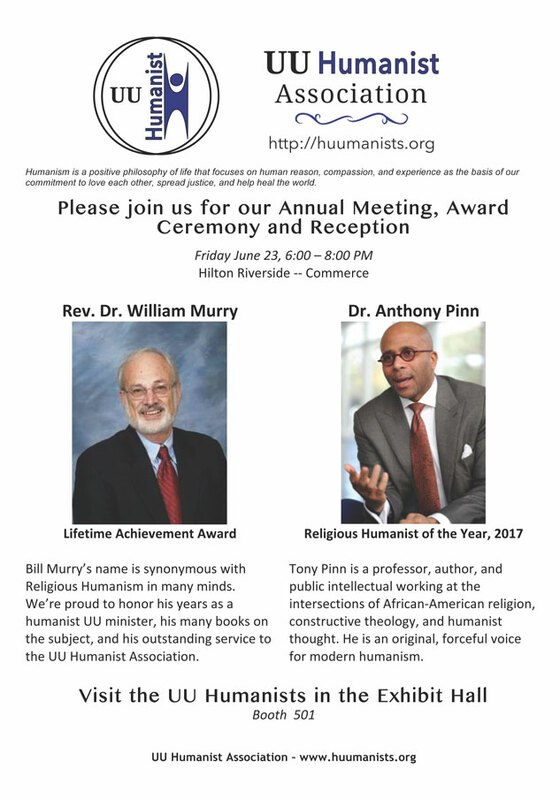 The UU Humanist Association will hold its Annual Meeting, including a talk by the awardee of the Religious Humanist of the Year on Friday night of General Assembly, from 6:00 - 8:00 PM in the Commerce room of the Hilton Riverside. There will also be a UUHA booth in the Exhibit Hall, booth 501. 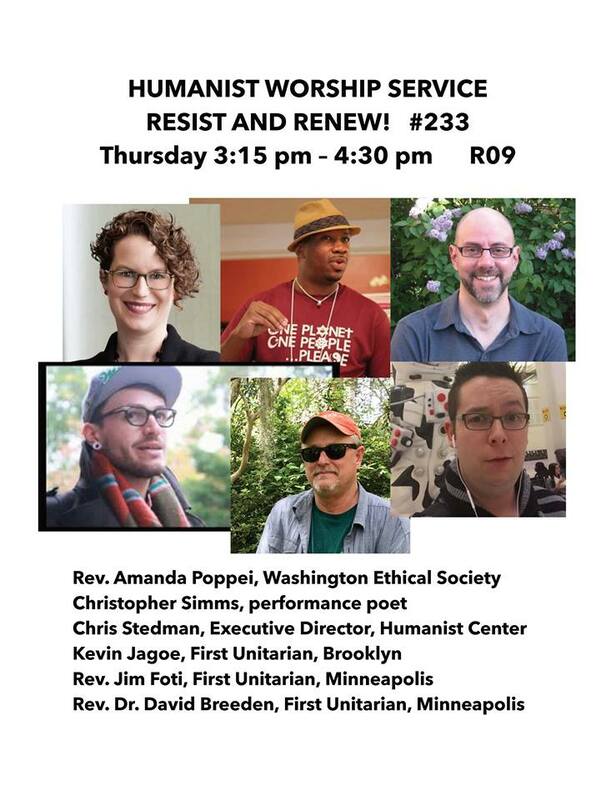 A UUHA information and merchandise table featuring the UUHumanists Letter on Non-Theist Boy Scouts, will be part of The MidAmerica UUA Regional Annual Meeting.